The process of tunneling is a method used normally for large diameter pipe. 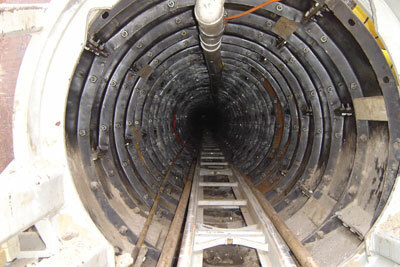 DH Underground uses laser technology to insure the tunnel is accurate to specifications and requirements. DH Underground uses many different types of pipe such as steel, hobas, concrete and liner plate.